Hello there DIY enthusiasts! 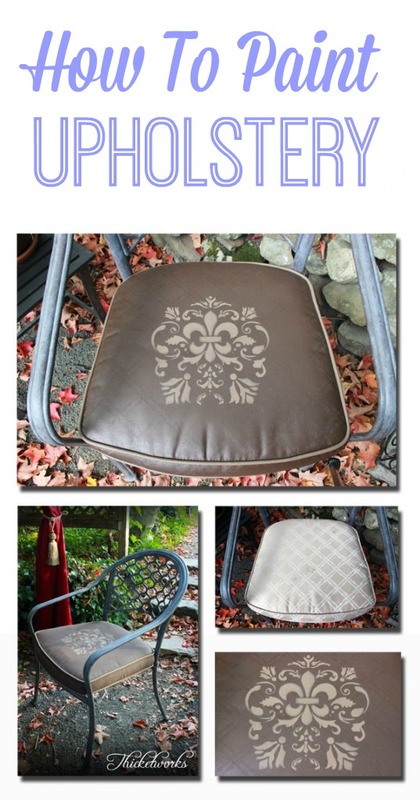 Heather from Thicketworks here to show you how to paint upholstery, the easy way! 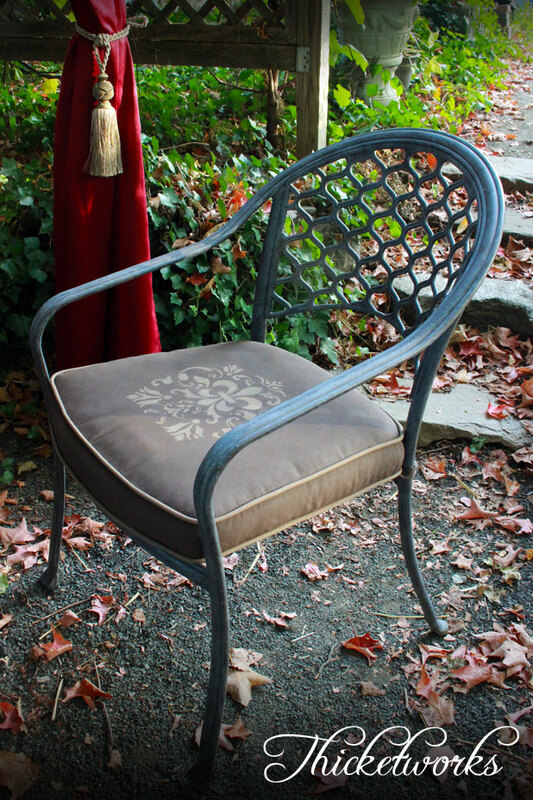 Like you, I’ve seen all these great examples of people painting upholstered pieces with Chalk Type Paint, and have been eager to try it myself. With Heirloom Traditions FAB! 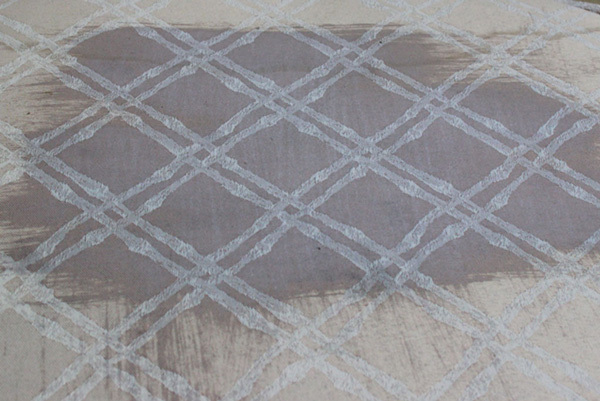 it’s possible to create a paint-ready surface on just about any fabric. It prevents the paint from cracking, and opens up a whole new arena for expressing our love of DIY decor projects! Don’t know about you, but I avoid sewing if I can help it. 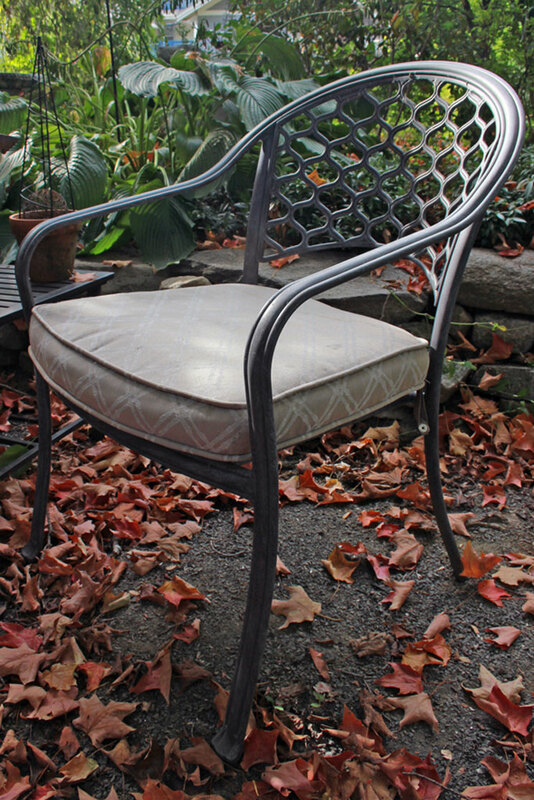 This project gave me all the satisfaction of re-covering my seat cushion without having to tear the existing one apart, make a pattern from it, and get all that welting in a tangle! 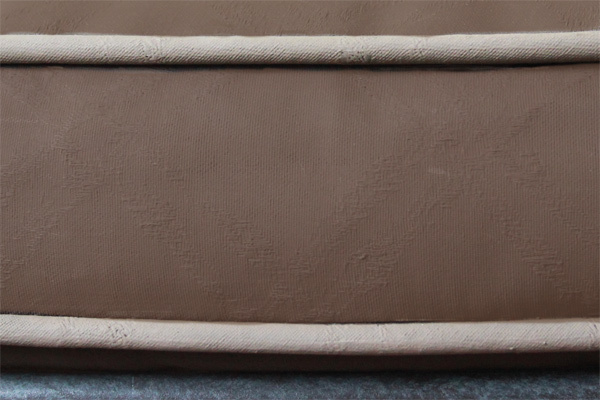 I took a look at the commercially available replacement cushions. Wow – let’s just say I’m not ready to make that kind of investment…However, with a short list of supplies, I think we can work some update-magic. Now, on with the experiment! One coat is all it took – it dried in about an hour on a warm autumn day. 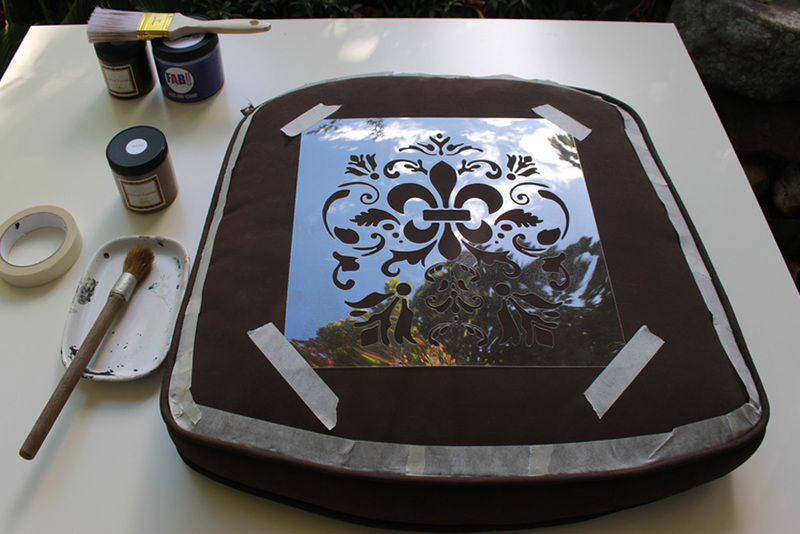 3) Grab your favorite stencil and lightly tape it where you want to create your focal motif. (I designed and cut mine using my Sizzix eclips electronic cutter and Grafix Clear Craft Plastic). 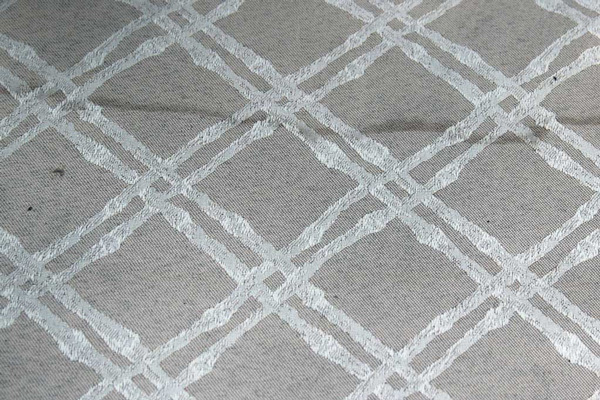 5) If you like the look of contrasting welting, either tape off the surrounding surface, then paint the welting, OR, be brave and free-hand it, using a fine tipped artist brush. I tried both methods, and both worked great. Just don’t have that 4th cup of coffee if you want to keep a steady hand! 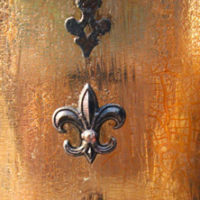 Again, just one coat of the Mocha was sufficient to cover the darker color – there is a generous amount of pigment in these paints! 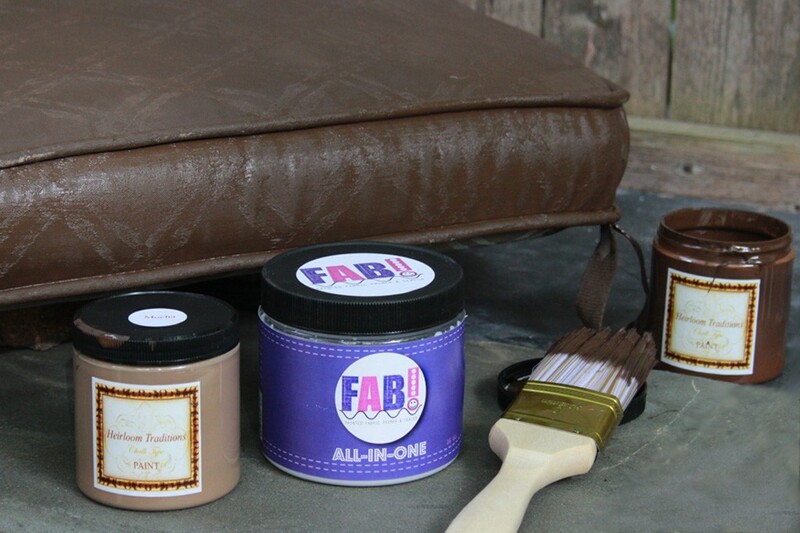 6) Once the paint has dried, just go over the entire surface with a top-coat of FAB! To seal and protect your ‘new’ cushion. The result is really striking, and has the feel of flexible vinyl. Such an improvement over the stained and dated version! Not only did I avoid the expense of buying new cushions – these are one-of-a-kind, and just the style I wanted! Thanks for joining me for this fun fabric painting project…Try it out – it’s so satisfying to use what you have, and make it fabulous! 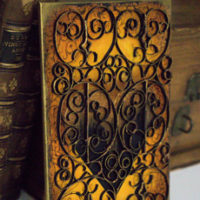 Do you think it would work on an Antique Queen Ann’s Chair? The back side of the chair is perfect, but where the person sat (the back of the front) is stained. I was going to have the entire chair re-upholstered $$$. Hi Petrina, (what a beautiful name!) Yes, FAB! will work on antique fabrics. 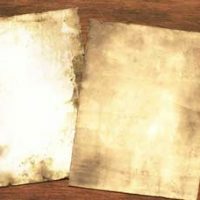 It will seal them so that any stain or odor can’t leak through the paint. There are a few videos on YouTube showing the process. It’s easy and fun! Hi Margaret, You’re in luck, because that’s what this post is all about! Just read the post for instructions, the supplies that you need are listed. I hope that helps! 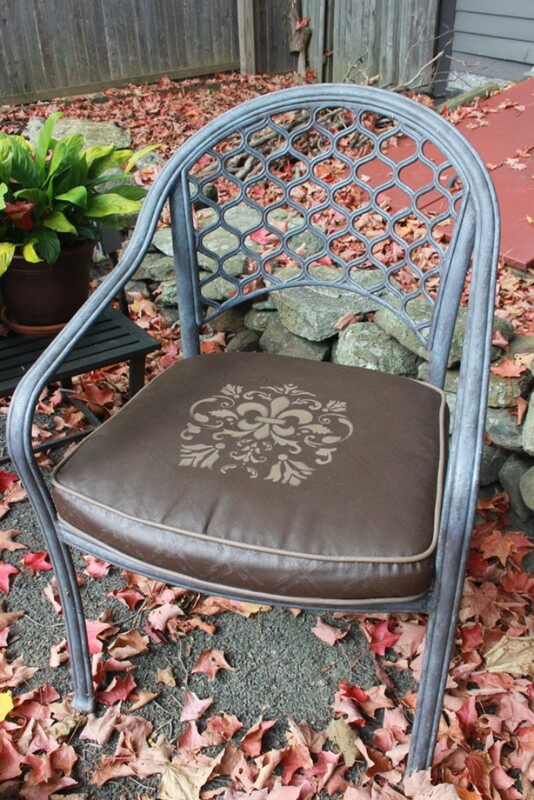 I love your site, so many wonderful ideas.I tried my hand a painting a chair and it went pretty well. Hope I can get to your standard one day! Hey Erin! That’s so cool that you painted your chair…I plan to paint many more upholstered pieces in the coming months. It’s so fun! Thanks for your kind words, and have a great day!